In April of 1990, Diane set off for Zimbabwe on what was to be a life changing journey. What was meant to be a three-week holiday ended up a five month adventure. On that trip, Diane fell in love with Africa and she realized she wanted to find a way to share her experience with others. So what began as a vacation became a vocation. Diane now splits her time between the U.S. and Africa, using her home in Zimbabwe as a base to explore the lodges, camps and activities she recommends to travelers. 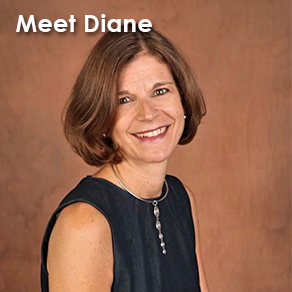 Having traveled so extensively there, Diane is well qualified to provide first hand assurance to clients. “People don’t realize how safe it is to travel there, how well the infrastructure works, and how overwhelmingly friendly the people are,” she said.